Left: Polished Natural Small, Medium, and Large. See a size comparison to a quarter and a soda can. Middle: Polished Natural Red Small, Medium, and Large. See a size comparison to a quarter and a soda can. Right: Polished Dyed Copper Medium. See a size comparison to a quarter and a soda can. 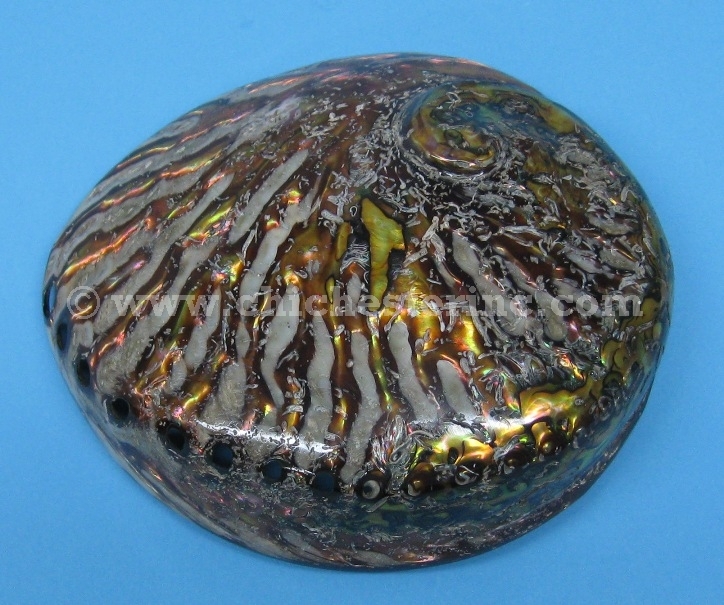 The polished abalone shells have been highly polished to a beautiful sheen inside and out. It takes about four hours to polish one shell. These are beautiful decorative pieces or they can be used for inlay on rifle stocks, knives, and other items. Each shell weighs between 0.14 to 0.42 lbs. We measured the widths of two medium dyed copper shells and they were 4" to 4.25” to the inner lip and 4.25" to 4.5” to the outer lip. These are natural products so the size will vary. Our Gxx codes denote individual pieces. 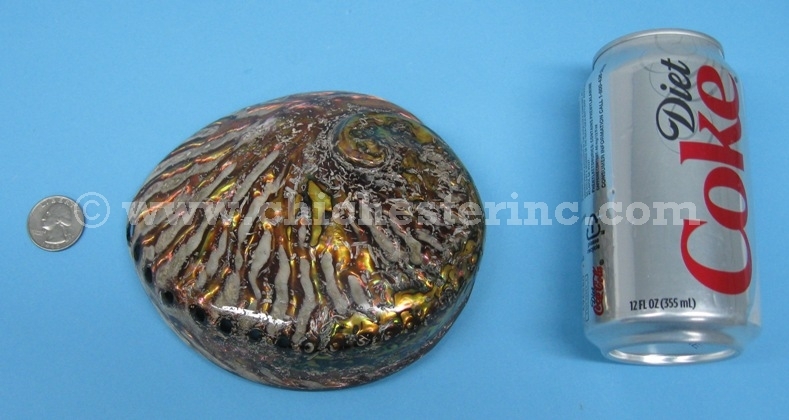 If you would like to order a specific XL shell, please go to our Gallery to pick the exact one shown.